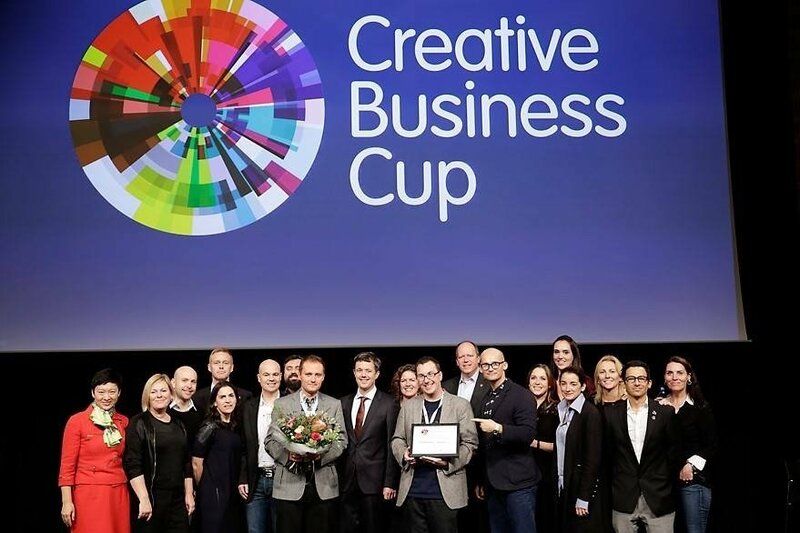 This year, Lithuania for the first time participated in the finals at the international Creative Business Cup competition, held in Copenhagen on 17-19 November. Results achieved by entrepreneurs of creative industries at the world championship surpassed all expectations. 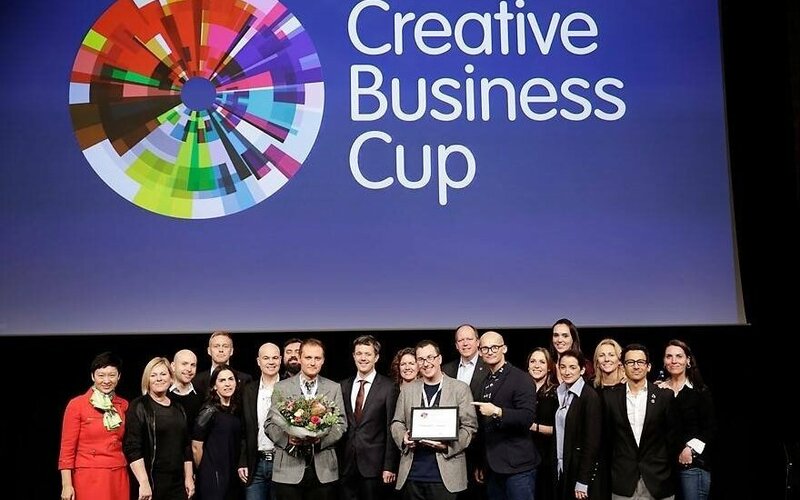 Winners of national competitions from 54 countries across the world contested at the finals of the Creative Business Cup in Copenhagen. Lithuania was a first-timer in this competition. The National Association of Creative and Cultural Industries that arranged the selection in Lithuania delegated the March Design Studio to represent the country at the finals. The achieved result exceeded all expectations – Lithuanians were ranked among the world’s top 16. According to Roma Survilienė, director of the National Association of Creative and Cultural Industries, such a good result came somewhat unexpectedly. Why? “Creative industries cover a wide variety of areas; different countries presented very interesting though different business ideas, products, and services. E.g., Zuta labs from Israel demonstrated the world’s smallest printer, and Sertac Tasdelen from Turkey told about his own business idea how with his mother they set up a webpage for fortune-telling using coffee-grounds. To evaluate such different projects is very complicated, and we were a startup and did not know what could be expected,” said Roma Survilienė. March Design Studio director Eglė Opeikienė shared this opinion. According to her, winners in this competition practically could not be predicted. “Having familiarized ourselves with the projects from all the countries, we should have given preference to some projects, whereas totally different projects were awarded,” told Opeikienė. The international nineteen-member jury, which included representatives from global companies like Microsoft, Lego, IKEA, Google, brought still more intrigue to the competition. According to Eglė Opeikienė, success depended not only on the attractive business idea, but also on the chosen tactic of presentation and elucidation of the business potential. “It is important not just to have a good business idea, but also to know how to present it and sell,” she said. Thus, who found favour with the jury this year? “Looking through the list of winners, it may be stated that this year the jury favoured ideas encouraging and improving social value and life quality. Eglė Opeikienė was delighted with the still better results of Lithuania’s neighbours – the Internet game “Professor Why-Chemistry“, aimed at stimulating children’s interest in chemistry, which was created by contestants from Poland, was awarded the first prize. According to the organizers of the international competition, even 92% of the Creative Business Cup participants would recommend to representatives from other creative industries to participate in this competition. Eglė Opeikienė would also join them. “This is an invaluable and useful experience,” she says. Denmark not only hosted the competition. Frederick, Prince of Denmark, who participated in the awards ceremony, just confirmed the importance of entrepreneurs from creative industries in the modern world. The organizers also afforded the opportunity for the participants to present their business potential to investors. A special three-day conference was organized and representatives of the world’s top companies, investors and shared their ideas, experience and knowledge. The national Creative Business Cup competition in Lithuania was partly financed by the Lithuanian Council for Culture. Project partner – Enterprise Lithuania.